Product information "Was fliegt denn da? 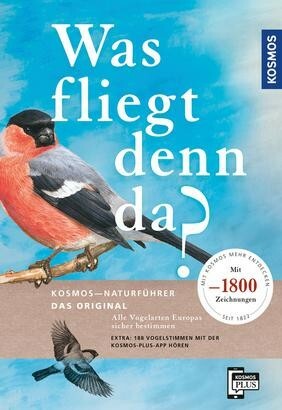 Das Original"
“What bird is that?”: For 70 years now the successful bird classification book for all bird lovers and beginners alike. In time for the anniversary, Kosmos did a complete revision of its classic: with 476 species, 1,600 new drawings, new texts. Now for all European birds and for the first time with occurrence maps. Definitely the birth of a new standard work.